PENTICTON, BC – Cannery Brewing has announced the release of two beers to kick off a new series of limited edition cans. 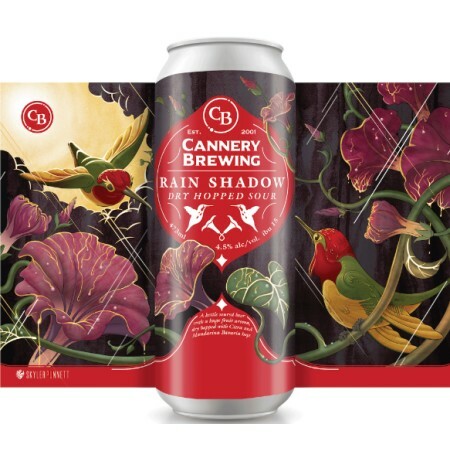 Rain Shadow Sour (4.5% abv, 15 IBU) is “a kettle soured beer with huge fruit aroma, dry hopped with Citra and Mandarina hops”; and Meadowlark Saison (5.5% abv, 20 IBU) is “an old-world inspired Saison brewed with rye, wheat, spelt and barley” that pays tribute to the Okanagan’s annual Meadowlark Nature Festival. Both beers feature labels designed by local artist Skyler Punnett, and are available in 4-packs of 473 ml cans at Cannery and select private liquor stores in BC while supplies last.